One such business was; The Manchester Photographic Company; set up by Helmut Petschler and his wife Alice, in around 1859. It comes as no surprise to learn, that Helmut was born in Germany, in 1832; but Alice was a local girl. They were based in the Gorton and Fallowfield areas of Manchester. Helmut was dead by 1871, and the business died with him. So all their photos are before this date. And fortunately quite a few survived them. ‘Appleby, Westmoreland. 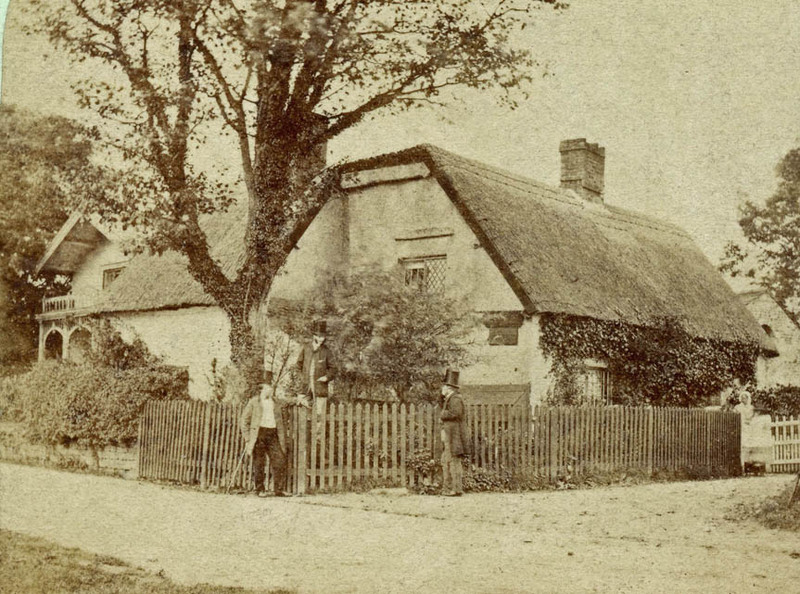 The Sycamore Tree under which Wesley and Knox Preached’… This is a very rare, early image of Westmoreland thatch. 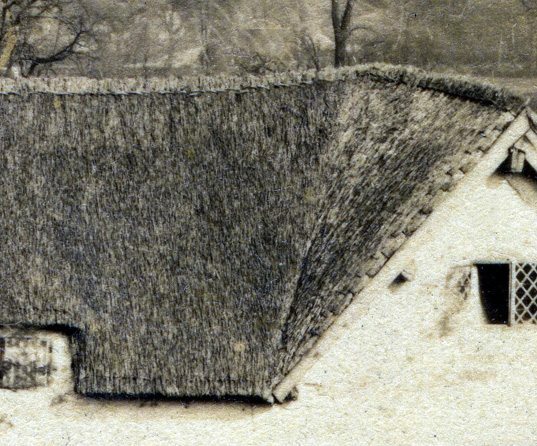 The enlarged photo shows a roof of heather, with a wooden gutter underneath. The ridge is of turf, which also covers the gabled ends. A type of finish, seen in later photos, of cottages outside Leeds and Edinburgh. 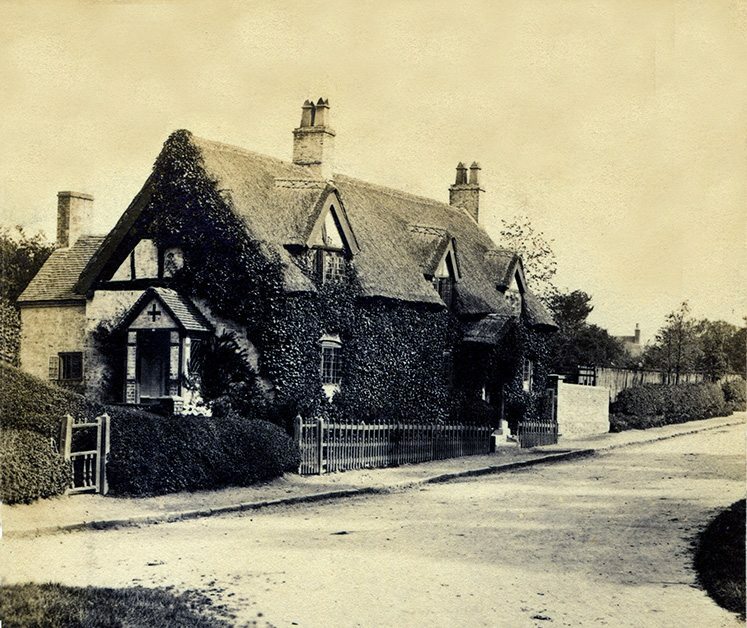 Trentham Village, Staffordshire’… Some sixty years, before this village became part of Stoke on Trent. 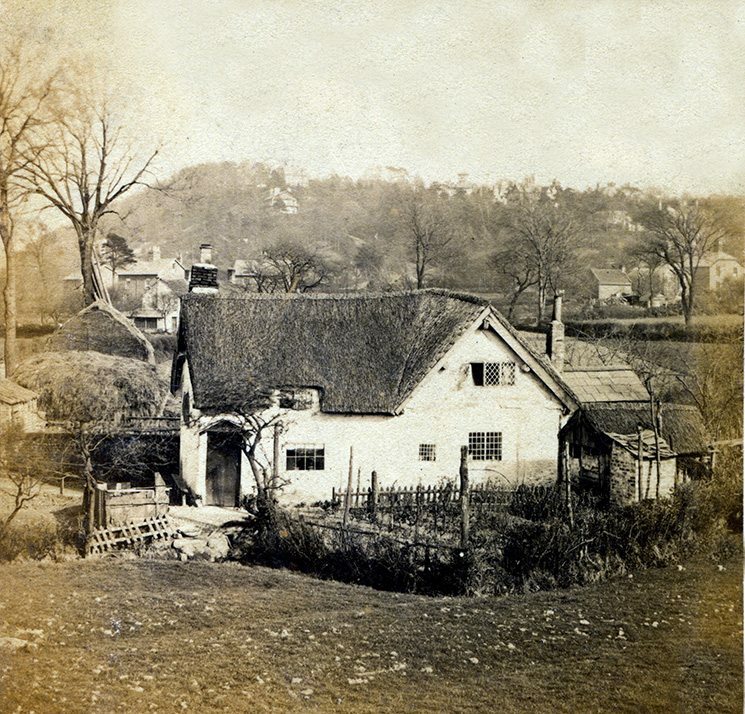 This cottage has a long straw roof, with a neat cross sparred ridge. 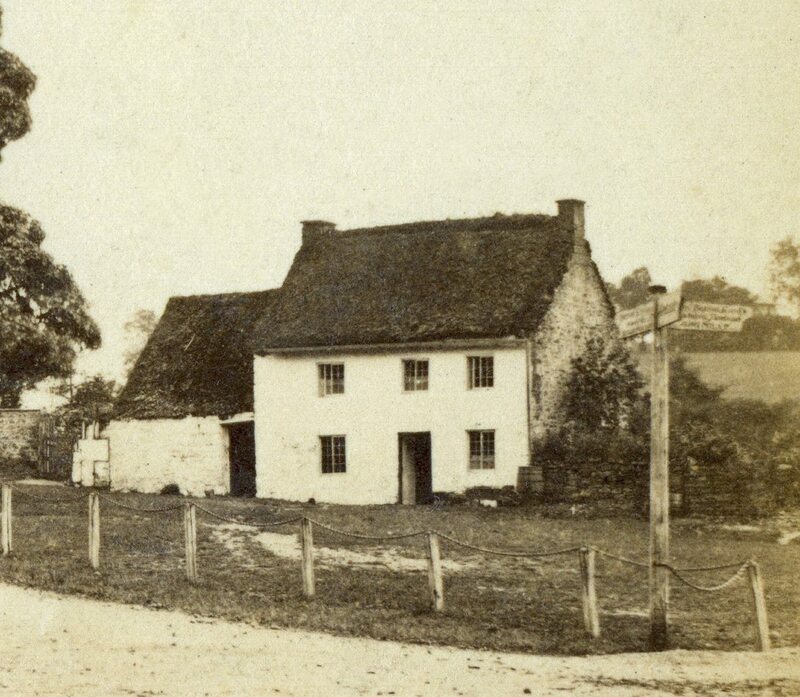 The enlarged image, shows the porch with a little lead on top of the ridge. All looking quite modern. The way the thatcher has completed the turning eyebrow windows, is unusual. It seems he stopped his new coatwork, a little short. And made use of the previous coatwork, to carry the water over the gable edge. 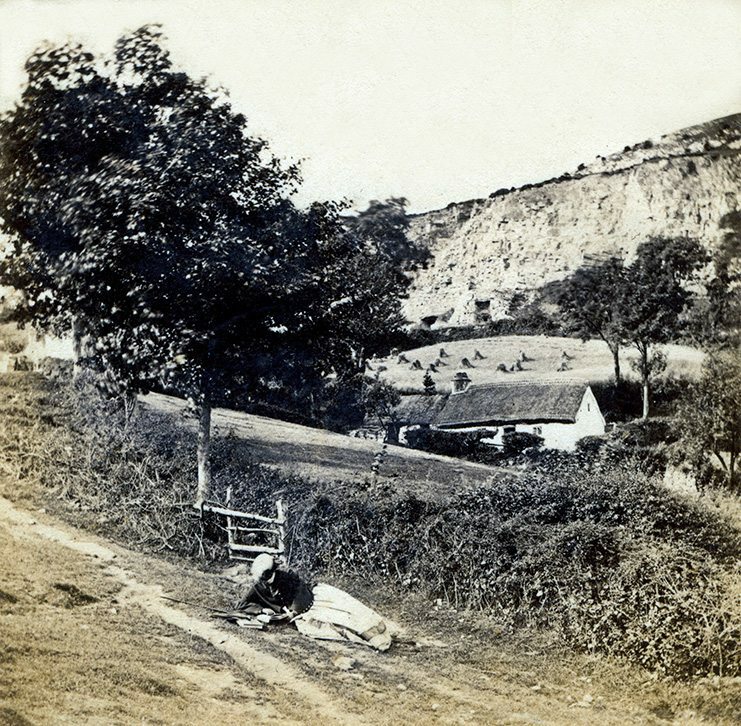 ‘On the Heights at Abergele, North Wales’… Alice is posing, rather artistically, in this photo. 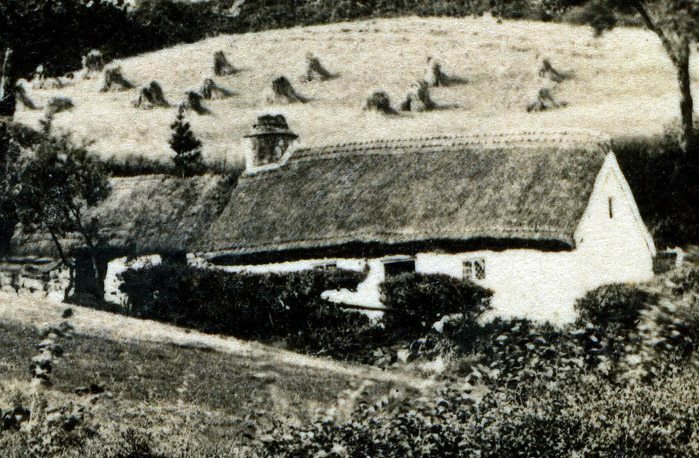 The enlarged photo, shows a neat long straw roof. With rolled gables. The barn, to the left, is more roughly thatched. 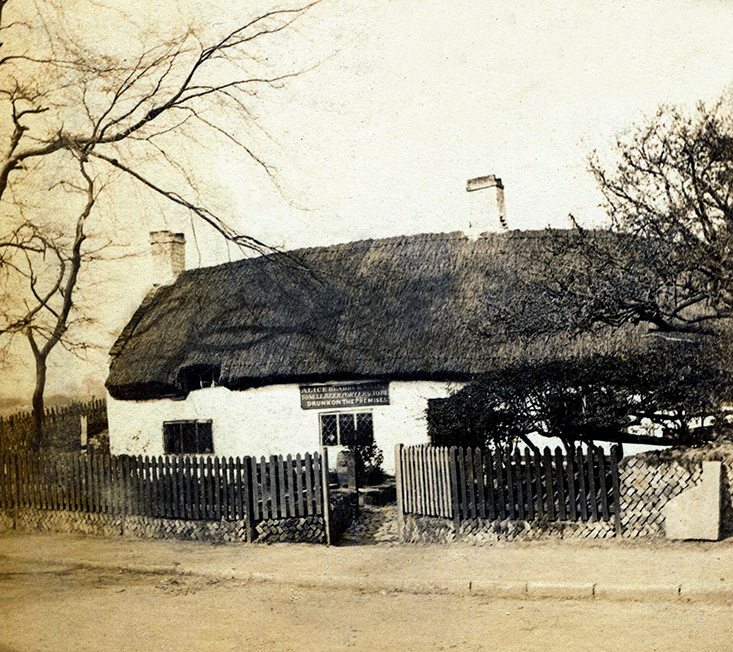 The thatch on the main roof, follows a style seen, on both sides of Offa’s Dyke. 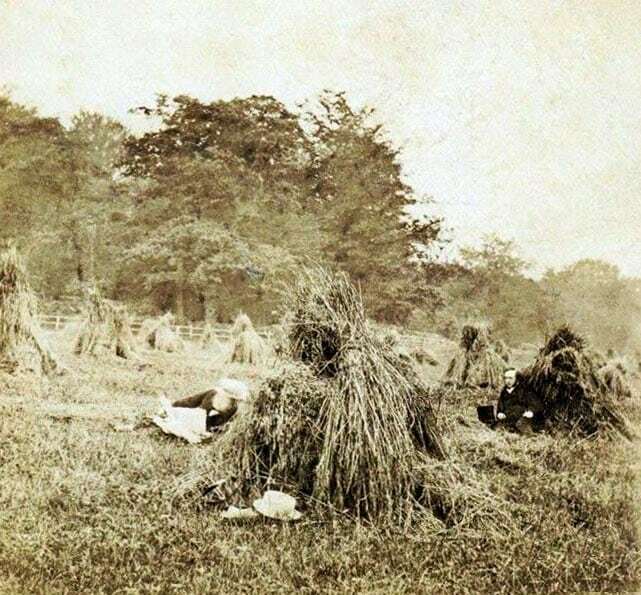 It must be harvest time, as in the background stooks of sheaves await collection. Giving a clue, as to the type of thatching material, used in this area. 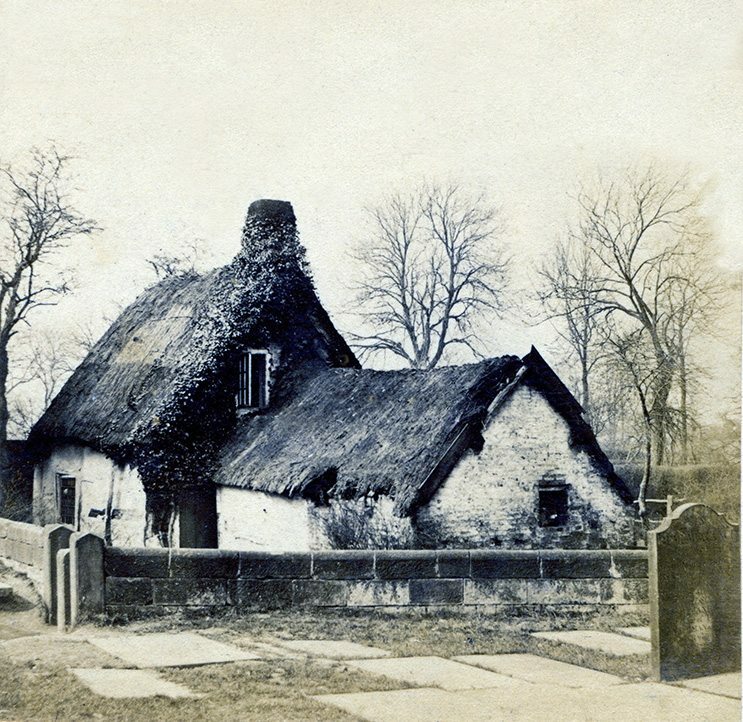 Old Cottage, Cheadle Churchyard’… When this image was taken, this village lay in rural Cheshire. It is now part of Greater Manchester. 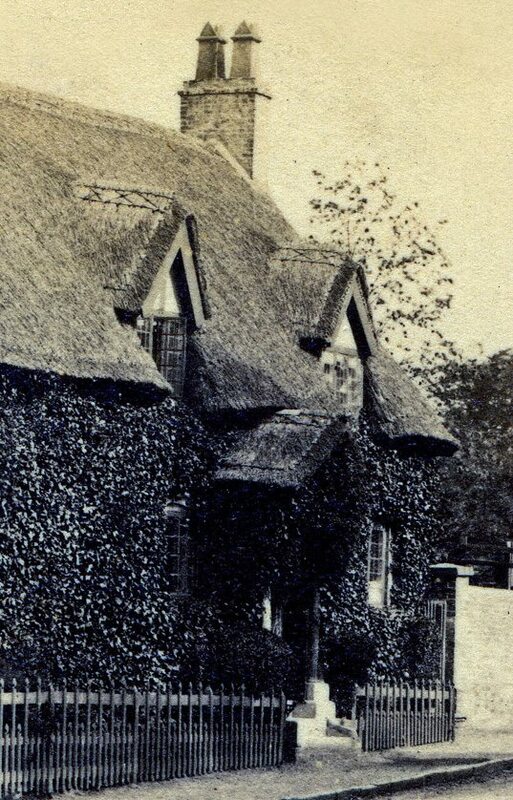 The thatch, on this little cottage has been repaired, but it looks like more work is needed. 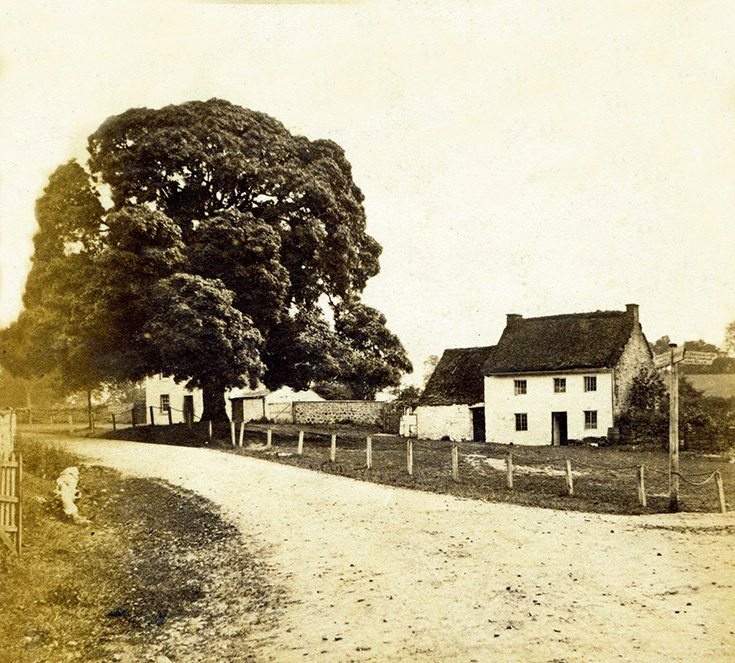 Today, this area still retains more than a few thatched cottages. Including another one near the church.